If you ask my fiancé what's one of my favorite stores to shop at, he will tell you Cotton On. I always seem to find great staple items as well as stand out graphic tees. 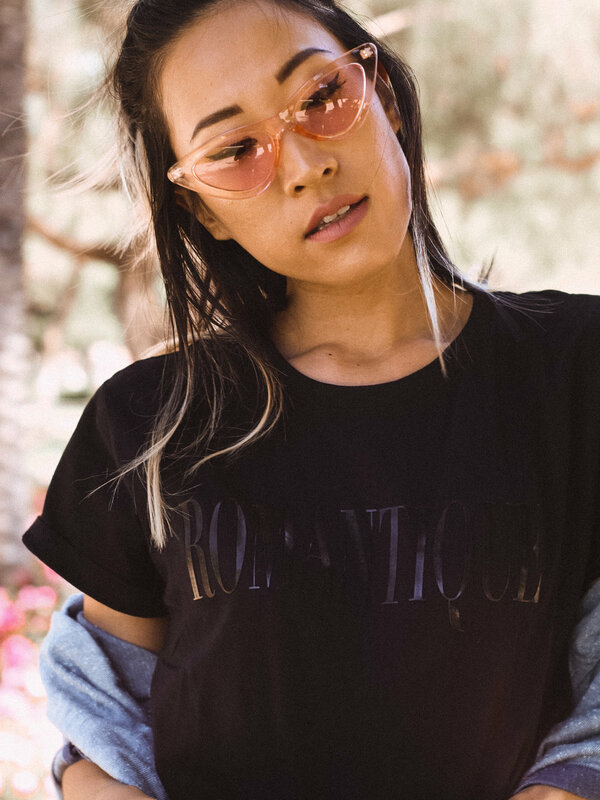 I recently shopped one of their sales and snagged this all black Romantiqué t-shirt. It's a bit hot out to wear now, but it will be great when Fall rolls around. There are so many t-shirts I got my eye on, and that are fitting for casual, but stylish back to school fashion. Shop the look below and check out Cotton On's graphic t-shirt styles here.